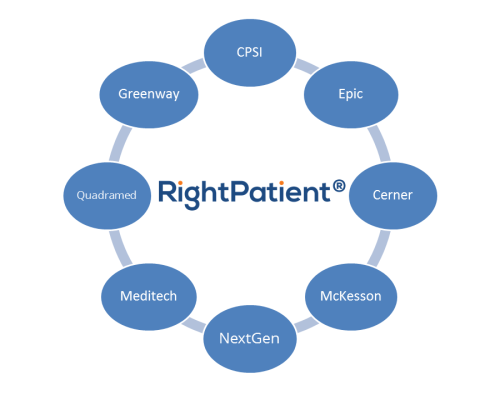 RightPatient® seamlessly integrates into the Epic EHR system to maximize operational efficiency. When the HITECH Act was signed into law in 2009 creating financial incentives to promote and adopt health information technology, few people outside of the healthcare industry could probably grasp the importance and impact this law would have on vendors offering electronic health record (EHR) systems. Back then, we as patients were excited at the prospect that healthcare was finally stepping out of the middle ages and into the modern era of record keeping, our minds popping with optimism about how dumping paper for electronics was going to revolutionize medicine and open new doors to improve both individual and population health. We never would or could have imagined the intense complexities of implementing these EHR systems and the heated rivalries they would create that seem to stifle progress and impede value. Akin perhaps to kids playing in a sandbox, the rivalries and intense competition between these vendors is increasing. Over 85% of hospitals across the country have adopted some form of EHR to qualify for Meaningful Use however, many have switched EHR vendors citing insurmountable functionality difficulties, poor usability and design, and a lack of adequate training and support as some of the main reasons to make a change. What we as healthcare consumers have learned throughout the EHR journey is that some EHR systems are skilled at handling certain functions, while others are not. Some EHR platforms support interoperability more than others. Certain EHR providers are well known for their outstanding support capabilities and some can be difficult to work with. One important characteristic is the ability for our biometric patient identification solution to seamlessly integrate with an EHR so that it becomes a consistent and uninterrupted part of staff workflow. Our biometric patient ID platform seamlessly integrates with Epic’s EHR system to help ensure an efficient and accurate authentication process without having to toggle to a separate application that can cause workflow interruptions and lost productivity. Seamless integration of the RightPatient® biometric patient identification solution with the EPIC EHR system also helps save precious time during patient registration to improve the patient experience. In addition, the ability to capture a patient’s photograph during registration and then display that photo alongside the patient’s Epic EHR adds value to the identification process by providing fast two-factor authentication without having to leave the Epic platform. Patient registration staff and clinicians along the care continuum are immediately greeted with the patient’s photo once their Epic EHR is accessed for fast, accurate identification to prevent unnecessary medical errors. The ability to seamlessly interface with Epic’s EHR platform is a distinct advantage for establishing accurate patient identification anywhere along the care continuum. By utilizing various biometric credentials, RightPatient® is built to offer accurate and secure patient identification no matter where an Epic patient attempts to access protected health information (PHI) or medical services, even in virtual environments. This is a key factor to ensure patients are safe, their PHI is safeguarded, and healthcare facilities are administering care or releasing information to the correct individual. 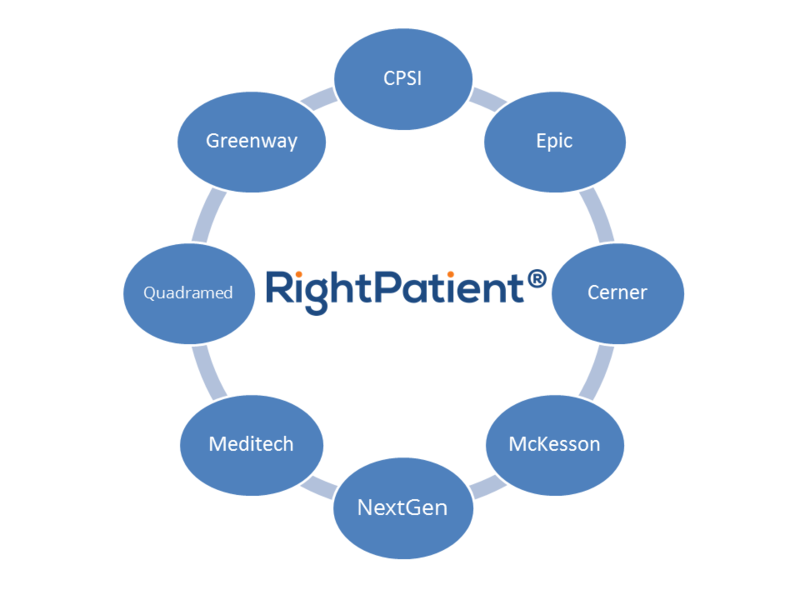 RightPatient® has the unique ability to seamlessly interface with the Epic EHR system and provide staff the ability to perform accurate patient identification at any point along the care continuum without ever leaving the platform. Key to ensuring smooth and efficient workflow and to maximize operational efficiency, seamless integration of a biometric patient identification solution with Epic’s EHR system should be an important factor if you are considering an investment. Through the use of photo biometrics, the University Health System was able to catch a patient attempting to commit healthcare fraud in the ED. Emergency Departments (ED) can be subjected to healthcare fraud from individuals without insurance seeking care, especially those with manageable chronic conditions. These patients often go to hospital EDs because they don’t have access to any source of care and in a large number of cases, attempt to defraud the healthcare system by providing different names, dates of birth, or other demographic information during registration. Hospital patient access staff on alert for healthcare fraud often must strike a tricky balance of ensuring a patient receives timely care with the need to identify and prevent these individuals from illegally obtaining medical services that could raise liability and possibly harm the patient. 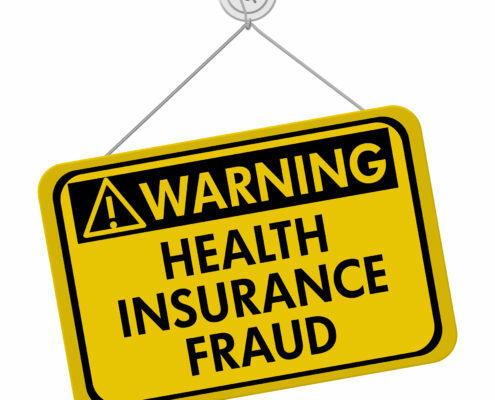 Patients who may be trying to defraud the system can raise the cost of care for all of us with most of the cost to treat these individuals passed on to insurance providers that raise premiums to subsidize care provided to the uninsured. It’s a persistent problem in healthcare that jeopardizes patient safety. 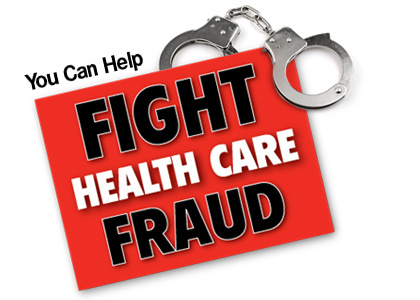 The National Health Care Anti-Fraud Association (NHCAA) estimates that the financial losses due to health care fraud are in the tens of billions of dollars each year. The Ponemon Institute released a study earlier this year that reported a 21.7% increase in medical identity theft cases since the previous year’s study. A costly and often complex and time consuming issue to resolve, healthcare fraud and medical identity theft often financially decimate victims and healthcare institutions and can have a ripple effect that negatively impacts provider reputation. Add to that evolving patient expectations that healthcare providers are taking the necessary steps to protect their identities and ensure the privacy of their protected health information (PHI), and it’s clear that this is a festering problem in the industry that deserves immediate and swift preventative action. When University Health System staff sat down to address the problem of healthcare fraud and began to assess patient authentication technology options that had the potential to prevent it, they decided to deploy RightPatient® biometric patient identification as part of an overall strategy to increase patient safety, eliminate duplicate medical records, and prevent medical identity theft and fraud throughout their network. Using photo biometrics as their preferred modality, University launched the RightPatient® patient identification system in the summer of 2015 at both hospitals in their network and began registering patients and linking their unique biometric credentials to a single electronic health record (EHR). Thusfar, the deployment has been a resounding success, with over 99% of patients opting in to ensure the safety and privacy of their PHI. University placed a great deal of emphasis to ensure their staff understood why the RightPatient® solution was implemented and meticulously trained patient access personnel on how to properly use the system prior to launch. Recently, a patient was registered through the ED in the RightPatient® system, and then returned to the same ED days later claiming a different date of birth and a different last name. Following hospital registration protocol, the patient access representative took the patient’s photo with an iris camera and the RightPatient® system immediately flagged the patient’s medical record and instantly notified staff that the patient had previously enrolled with their biometric credentials already linked to another unique EHR. University staff then realized that the patient was attempting to assume another identity and took action to prevent it. Even if this patient had enrolled in the RightPatient® biometric patient identification system at another location within University’s network, they still would have been flagged as a potential fraud case if they returned to a different facility due to the fact that RightPatient® seamlessly integrated with University’s Epic EHR system and can be used at any point along the care continuum, regardless of the patient’s physical location within the network (RightPatient® can even be used to authenticate an identity on patient portals and mHealth applications!). The persistent and dangerous problem of medical identity theft and healthcare fraud is a direct threat to patient safety but also has repercussions that impact many other facets of care delivery. Implementing modern patient identification technologies that have the unique ability to prevent healthcare fraud should be a key goal for any medical facility set on improving safety, lowering liability, and raising the quality of care. The University Health System case clearly demonstrates that RightPatient® deters medical identity theft and healthcare fraud throughout the care continuum by linking a patient’s unique biometric credentials to one medical record. Thank you to the staff at University for allowing us to share this story with our community! Hugh Chatham Memorial Hospital recently used photo biometrics to prevent healthcare fraud. Eliminating fraud is a pressing issue in healthcare that continues to threaten patient safety. The FBI states on their Web site: “With no signs of slowing down, healthcare fraud is a rising threat, with national health care expenditures estimated to exceed $3 trillion in 2014 and spending continuing to outpace inflation.” (source: https://www.fbi.gov/about-us/investigate/white_collar/health-care-fraud). 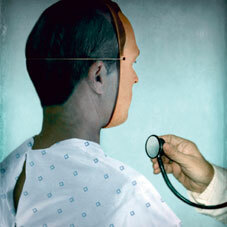 On average, healthcare fraud accounts for 10% of our nation’s annual healthcare expenditure. One form of healthcare fraud seen in emergency departments at hospitals around the country is individuals attempting to commit identity theft in order to obtain prescription medication.With approximately 8.76 million people in the U.S. abusing prescription medication (source: https://www.columbusrecoverycenter.com/prescription-drug-abuse-in-america/) and the lion’s share of those medications coming from a doctor’s prescription, medical facilities are proactively stepping up their efforts to implement stronger patient identification safeguards to ensure that the problem is addressed. After all, many patients may not understand the health dangers and risks of someone stealing your identity and inaccurate health data being attributed to your medical record – it is extremely dangerous and could result in serious injury, even death should a clinician act on incorrect protected health data (PHI) in your medical record. Just how bad is the problem of prescription drug abuse in the U.S.? Consider the fact that every day in the United States, 44 people die as a result of prescription opioid overdose. Fortunately, there are tools available to catch identity fraud at the point-of-service in hospitals before harm is done. Hugh Chatham Memorial Hospital implemented the RightPatient® patient identity management solution using photo biometrics to help support patient safety, eliminate duplicate medical records, and prevent and deter medical identity theft. Recently, a patient arrived at the Hugh Chatham Memorial Hospital emergency room seeking treatment for an injury that according to the patient had just occurred in the prior hour. The patient signed in under a fraudulent name, date of birth, address, invalid marital status, a disconnected phone number, invalid employment status, fraudulent emergency contact, and an invalid social security number. The patient proceeded with registration, and signed all admission paperwork under the fraudulent information. During the registration process, the registration clerk used the RightPatient® photo biometrics solution to enroll the patient since this was (according the patient) the first time they had ever been to the hospital. The RightPatient® system worked just as it was designed, sending the registration clerk an alert that indicated the patent had been previously enrolled and that their biometric credentials had already been linked to another unique electronic medical record, providing the medical record number the patient had been registered under. The clerk was then able to access the medical record the patient had been previously registered under and after review, Hugh Chatham was able to see other visits for that same day in other clinic/practice locations. A decision was made to contact local authorities. Thanks to the RightPatient® software and the efforts of this staff member, Hugh Chatham Memorial Hospital was able to securely identify the patient, avoid duplicate medical records, prevent identity theft and associated healthcare costs, and help maintain a safe environment for patients. Encouraging healthcare facilities to implement safeguards that ensure accurate patient authentication through technologies such as photo biometrics has been our mission since we founded RightPatient®. We will continue to share our success stories with others to help educate and inform in the overall effort to remove fraud and increase patient safety in healthcare. Have a story on how the use of biometrics prevented a potential case of healthcare fraud? Please share it with us in the comments! The rising use of telemedicine services in healthcare demands a more holistic approach to accurate patient identification. Since then, telemedicine has rapidly evolved as a trusted source of care, particularly for patients living in rural areas who traditionally have limited access to healthcare, and the industry is expected to reach 7 million patients worldwide by 2018, fueling an 18 percent growth rate by 2020. This is good news for a wide swath of key players in healthcare, especially providers who are already laser focused on advancing healthcare’s “triple aim” – improving the patient experience, improving population health, and reducing the per capita cost of care, plus telemedicine has proven to be a strong tool to increase patient engagement. Patients stand to benefit handsomely from advances in telemedicine too for its convenience and accessibility, quickly latching on to the “care when and where you want it” mantra of the technology. Yet, for all it’s convenience and increased accessibility, healthcare providers should take caution on procedures in place to identify patient identities prior to administering telemedicine services. Advances in telemedicine combined with an influx of newly insured patients under The Affordable Care Act have undoubtedly spawned opportunities for patients to commit fraud by stealing or swapping identities to receive services they aren’t eligible for. Undoubtedly the issue of limited reimbursement continues to be a major barrier to the expansion of telehealth — shouldn’t providers pay more attention to adopting technology that establishes a concrete and indisputable audit trail for telemedicine services? What can telemedicine healthcare providers do to increase patient identification accuracy and adopt a strategy that has the capability to address the need to ensure a patient is who they claim to be? As is the case with administering a lot of other digital health tools in healthcare, rules and regulations are fragmented and differ from state to state. Some states like Maryland, Virginia, and New Mexico have laws and regulations that facilitate the greater use of telemedicine yet others such as Texas are actively seeking to pass laws that restrict telemedicine services to only those patients who have previously seen a doctor. Regulating telemedicine is a tricky endeavor in healthcare. Most healthcare providers (especially those in medically underserved, rural communities) want to see the expansion of telemedicine because of the potential gains in individual and population health plus increasing the convenience of healthcare delivery helps build patient loyalty and speciality physician access. Think about how much good will is built with chronically ill patients who don’t have to make a painful journey to the doctor’s office to receive care! With the number of employers increasing employee telemedicine service offerings and the number of people now eligible for these services now estimated to be in the tens of millions, the healthcare industry has a vested interest to ensure 100% accurate patient identification. The digital age of medicine has created a host of new patient touchpoints along the care continuum that require healthcare providers to reassess their patient identification policies to ensure that patients are safe, treatment is accurate, protected health information is attributed to the correct medical record and fraud does not cause medical errors that could increase provider liabilities. The conundrum for healthcare providers is identifying a patient identification technology that has the capability to provide accurate patient identification no matter where a patient is along that care continuum and can flexibly be used at ANY touchpoint, regardless if it’s virtual or physical. What’s interesting about the explosion of these new patient touchpoints and accessibility is that provider focus (justifiably) is usually targeted on technology, compliance, and reimbursement — all important components to ensure success. For example, articles prognosticating about what telemedicine needs to succeed rarely address adopting stricter patient identification technology to protect both patient and provider. However, our field research demonstrates that healthcare providers are increasingly paying closer attention to perhaps the most essential element of any digital health tool, the absolute necessity of ensuring accurate patient identification prior to administering care. When it comes to accurate patient identification, telemedicine should not be treated any differently than, say, access to a patient portal or a physical trip to a doctor’s office. Holistic patient identification accuracy protocols that have the flexibility to be used in different capacities but ultimately to achieve the same purpose — ensuring patient identification accuracy and patient data integrity no matter when or where a patient seeks access to medical information or services. One patient identification technology surging to meet the demand for holistic patient identification in healthcare is biometrics. The use of biometrics for accurate patient identification in healthcare offers immediate, sustainable benefits (increases in patient safety, reductions of duplicate medical records, elimination of fraud) but what often goes unnoticed are broader, tangential advantages that can be applied to new patient touchpoints along the care continuum. For example, a healthcare provider using photo biometrics for patient identification in healthcare can ensure accurate patient identification at the point of service then have the ability to verify that same patient’s identity through a portal, or prior to a telemedicine session using facial recognition. Hospital re-admission reduction provides an excellent example of a tangential benefit biometrics delivers to the healthcare industry. By ensuring the accuracy of a patient’s identity during a home health visit or telemedicine session (key components to reduce re-admits), healthcare providers can administer accurate, timely patient care that helps reduce the possibility of a re-admission which significantly adds to the cost of care and can result in Medicare reimbursement reductions. Biometrics for patient identification offers another distinct advantage to telemedicine — an indisputable audit trail. Healthcare providers can rest assured that they now have a concrete list showing which patient accessed telemedicine services and what day and time they received the services. In this era of shifting regulations and evolving legislation, healthcare providers who implement photo biometrics for patient identification are at a distinct advantage over those that may rely on more antiquated methods to verify patient identities. Although the use of photo biometrics for holistic patient identification across the care continuum is a new concept in healthcare, more providers understand it’s value and are exploring the use of this technology. Is patient identification for telemedicine services a concern for you? What specific challenges do you face?